Yuzuru Tachikawa, born in 1981, entered the industry in 2006 as a studio Madhouse employee. His debut was on a show called Kiba, where he did production setting and directed the final episode. After working on a few more shows at Madhouse, he went freelance in 2010. 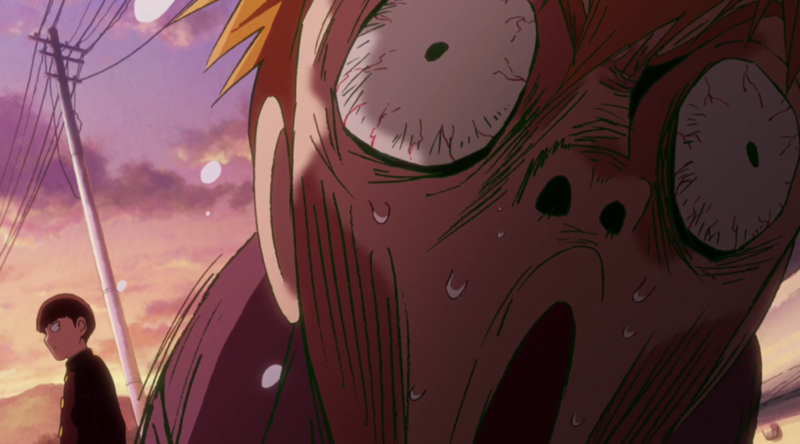 Next stop in his career was possibly the most important one – studio Pierrot’s adaptation of the popular Bleach manga. After storyboarding episode #271 and directing its 24th ending animation, he was entrusted to fully handle episode #319. 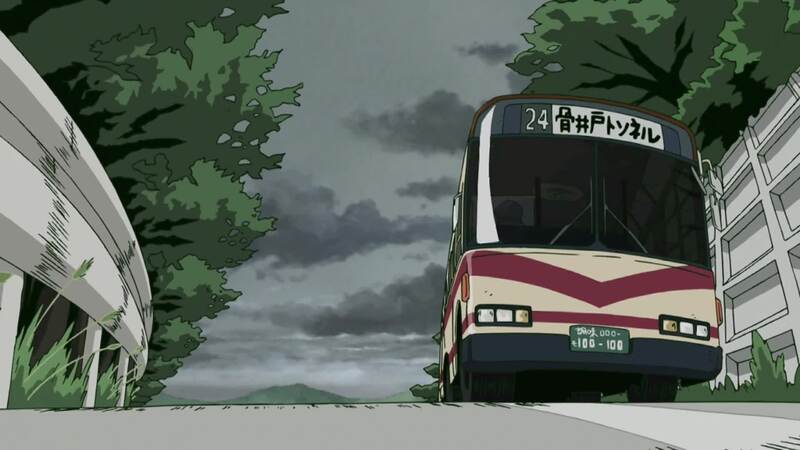 The animation director in charge was Tachikawa’s frequent collaborator and skilled animator, Shinichi Kurita. The episode, to the surprise of many who weren’t yet acquainted with his name, was full of creative layouts, exciting action scenes and excellent animation. This episode is what I consider to be his breakout. People started to pay attention to his name, and his works from that point onwards have all been remarkable to some degree; highlights include his first collaboration with Kameda on the sakuga-fest Bleach #341, and the Anime Mirai (Young Animator Training Project) short Death Billiards later followed by Death Parade, his TV series direction debut and yet another collaboration with Kurita. He’s been involved in other high profile titles, directing episode #7 on both Attack on Titan and Kill la Kill, and even co-directed the technically impressive Terror in Resonance with a legend like Shinichiro Watanabe. In the last five years, he has built a reputation that guarantees certain quality and attracts talented animators. And then we have Yoshimichi Kameda. Born in 1984, Kameda entered the industry in 2006 as a big fan of Gainax – mainly of Hiroyuki Imaishi, Kazuya Tsurumaki and Hideaki Anno. After getting rejected by Gainax 3 times, he decided to join AIC, partly because they often collaborated with Gainax back then. At some point he accepted an offer from his colleagues Shingo Fujii and Hokuto Sakiyama to assist them on episode #4 of Ryoko’s Case File under a pen name; that became a regular practice, and he started frequently working with episode director Hiroshi Ikehata on other non-AIC works under that pseudonym, as he was still an AIC employee. Unlike at his studio where he was still mostly put in charge of unimportant cuts, Ikehata gave him chances to work on more exciting scenes. But everything changed when he worked with Ikehata on episode #5 of Fullmetal Alchemist: Brotherhood. 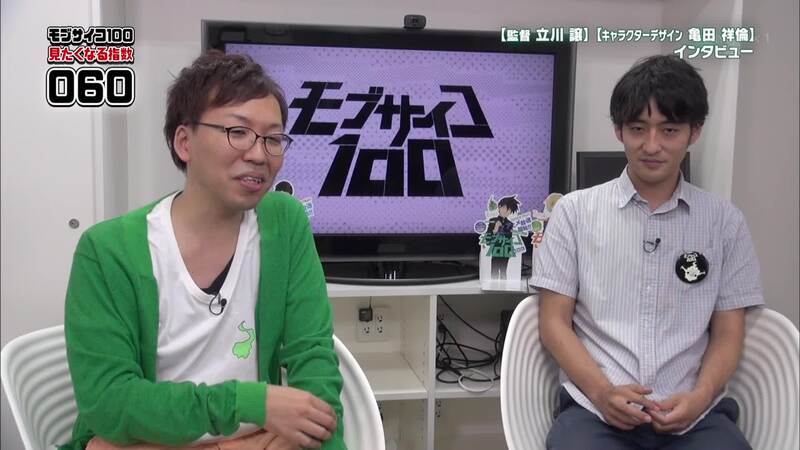 His animation caught the eye of a BONES producer, and Kameda left AIC to join the project as a freelancer. This was a turning point in his career, because BONES kept giving him important scenes – to the point he eventually gained the title of main animator – and that allowed his flashy style to quickly become a topic among animation fans, as well as industry professionals. His work eventually got featured in anime magazines such as Newtype, quite the honor since animator focus is rare on such publications. Since FMA:B, Kameda has worked on many prestigious projects. His most important output include key animation on Fullmetal Alchemist: The Sacred Star of Milos, character designs and animation direction on Anime Mirai short Paroru no Miraijima, and animation direction and key animation on Space Dandy and One-Punch Man. Amusingly enough, he also had a chance to work with his idols from old Gainax days. Kameda was a key animator on Imaishi’s Kill la Kill, did character designs and animation direction for Tsurumaki’s The Dragon Dentist, and provided key animation for Anno’s Evangelion 3.0. They probably realized the big mistake their studio made back in 2006! 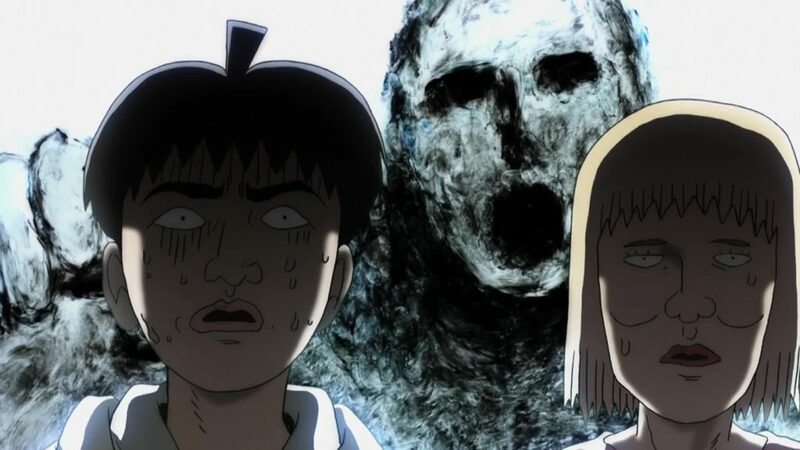 The episode opens with a lengthy action setpiece reminiscent of Hironori Tanaka’s animation style, featuring delightfully nightmarish designs and an endless explosion of color. While Tanaka’s name doesn’t appear in the credits, he’s one of the people who regularly work with director Tachikawa, and it wouldn’t even be the first time he did uncredited animation for him. This action scene seems to be the only part of the episode that was left uncorrected by Kameda, who also deeply respects Tanaka. The linework is clean and thin unlike anything else in the episode. It’s a very impressive sequence showcasing dynamic camera work, background animation, creative creature designs and effects. Tanaka or not, it was certainly a worthy way to open the show and grab the audience’s attention. Unlike that intro scene, the rest of the episode has Kameda’s flair to its very core. He particularly makes use of sketchy lines and dynamic facial distortions to support Tachikawa’s vision. It’s over-the-top, flashy and incredibly fun. 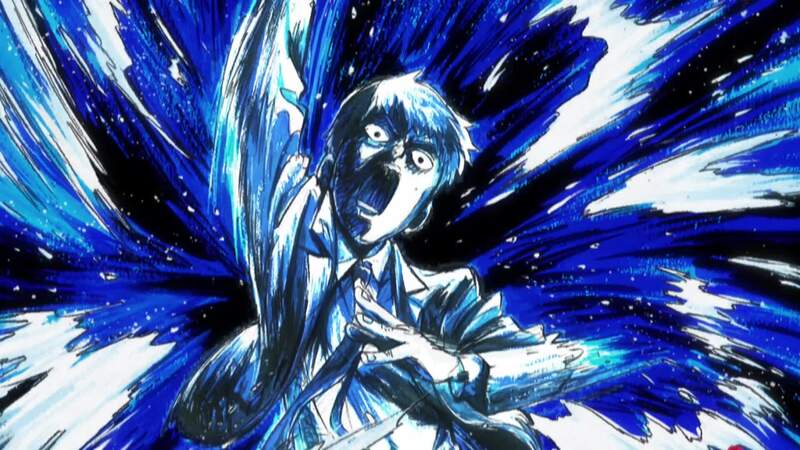 Especially Reigen, the most hyperactive and loudest character, who gets his fair share of exaggerated scenes like that. And it’s not just crazy faces! Reigen constantly moves, changes his expressions and there’s a lot of effort put into his hands. He gesticulates a lot and his limbs constantly distort into smears. Earlier I mentioned Kameda’s adoration of Imaishi, and that’s evident in the wild poses and timing of his animation. Rather than in the big action moments, in this episode those similutes and influences are at their strongest during the more light-hearted and comedic scenes. 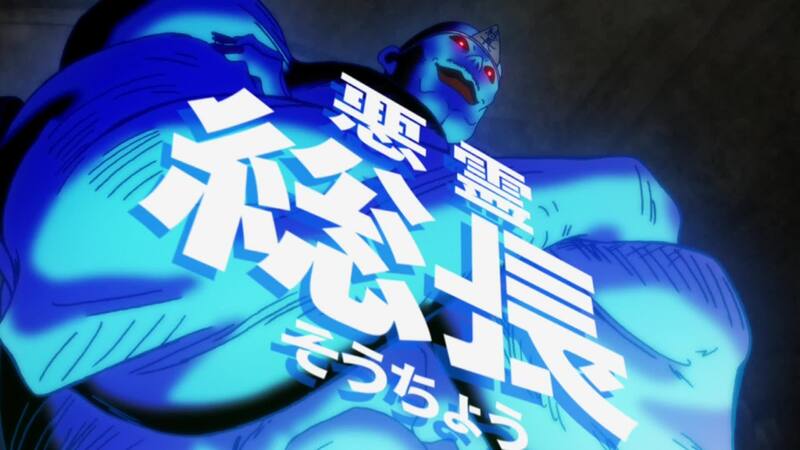 Other animation highlights of the episode include the scene where Mob destroys Ceiling Crasher (presumably by Shin Ogasawara), the tunnel flashback (Toshihiro Kikuchi and Kameda) and Mob’s fight against the large spirit at the end of the episode, animated by rising web-generation talent Keiichiro Watanabe and relatively unknown Yuutaro Suzuki. The key animator list isn’t stuffed with big names like One Punch Man’s first episode was, but that’s hardly a bad thing – it means they achieved something this strong without a particularly loaded lineup. What might surprise many of you, since that’s usually not the case with action-heavy series, is the fact that the majority of animators who worked on this episode were female. And it doesn’t end there! The BONES producer in charge of the show Yuki Nagano, the Photography Department’s director of photography Mayuko Furumoto, even the art director Ryo Kono are all women. Lots of female talent in this project. Tachikawa’s vision for the show is at odds with most contemporary anime trends; fans nowadays prefer stuff along the lines of ufotable’s recent works, very clean looks dominated by CG and heavy post-processing. By no means I’m discrediting good modern craft, but it’s obvious that the industry is moving towards heavily digital visuals. Yet Tachikawa’s approach with Mob Psycho is the exact opposite. Kameda’s rough style coupled with Ryo Kono’s old-school looking background art attempt to take us decades back. We get painted character still shots, plus hand-drawn vehicles and interiors. Note that there was no CG staff credited! Tachikawa doesn’t stop there, though: he takes this old-school flavor and mixes it with modern typography, holographic neon coloring for the ghosts, and even animated oil painting-like sequences crafted by the talented Miyo Sato. 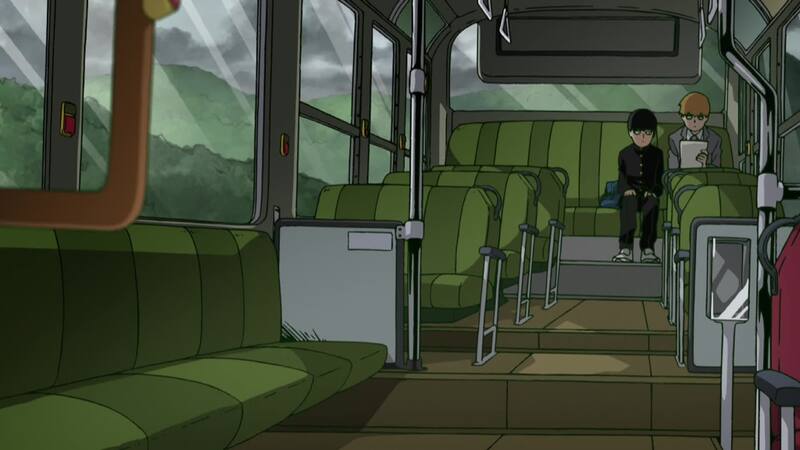 Mob Psycho feels like a show that shouldn’t exist in the current industry, but also one that wouldn’t be possible back then. A unique marriage of old and new, fueled by incredible creative power. Can’t wait to see what awaits us! What more could one wish for than an absolutely crazy, extremely well animated and dynamic opening sequence? The background animation sequence that kicks off the opening is absolutely incredible, and as you might have guessed, it was animated by none other than Kameda himself. Tachikawa and BONES decided to outsource the composite to 10GAUGE, a company that mostly produces promotional materials (f.e. Mob Psycho’s trailers) and occasionally does OP/ED sequences like Ajin’s. Provided with finished animation and under Tachikawa supervision, 10Gauge created an outstanding piece of work that, combined with a catchy song, will certainly be remembered for a long time. Here’s a peek at the key animation for the sequence below. Nice write up! Yoshimichi Kameda is probably my favorite animator right now and I am stoked out of my mind to see what he is able to do with this series. Also, I have no idea how to subscribe to this blog.. it won’t let me log in at all. Okay, I’ve enabled subscriber registration, which I assume is what you’re talking about. I was trying with my sakugabooru log in information, and that wasn’t working for some reason. Yeah, the accounts aren’t linked. That’s something on my way-in-the-future todo list. My expectations for the animation were high and they still surpassed them. Amazing first episode. Its cool that there’s so many women on the staff. If its alright I’m planning on linking to this blog and using some of this info for my own sakuga reddit post. In unrelated news, Kameda’s being a cool dude as usual so he retweeted this post and was very thankful about it. He’s also sourced the long morphing scene in the OP to Yuuichi Takahashi (except the broccoli explosion, that’s Hashimoto). Really friendly to animation fans! Wow that video from Miyo Sato was great. Thanks for linking it! Will you be covering each episode of this show as it comes out? Yes, I’ll be covering the show weekly Monday/Tuesday.